Dubai: The 2018 net profit for Damac came in at Dh1.2 billion, a sharp decline on the Dh2.8 billion recorded a year ago. Revenues during the period were Dh6.1 billion, down from Dh7.5 billion in the previous year. All through last year, the developer’s focus had been on reaching construction milestones at existing projects and in clearing inventory. At its Akoya Oxygen master-development, it put out Dh6 billion worth of contracts in 2018. Deliveries made during the year came to 4,100 plus homes — to date, the highest completed by the company in one year. These included those at the Damac Towers by Paramount Hotels & Resorts Dubai, Damac Heights as well as several mid-rise buildings and villas within the Damac Hills community. 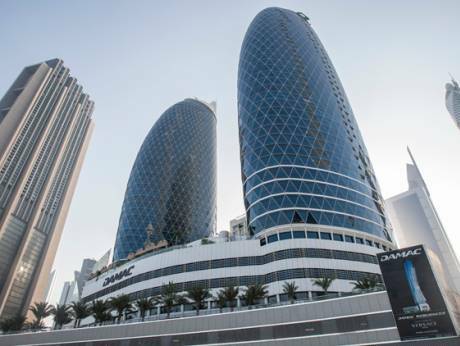 “As the market continues to stabilise, we remain dedicated to our promise of delivering welcoming residential communities,” said Hussain Sajwani, Chairman of Damac Properties.